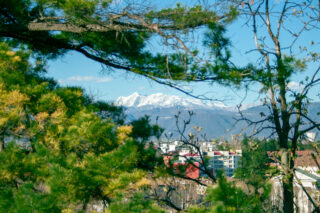 When you go to Udine – (yo)u dine. And in the best case scenario (yo)u dine in U dine with Udine’s locals in front of the castle and surrounded by the locals. A city so cute and romantic that we weren’t surprised when we found out that the original story of Romeo and Juliet has its origin in Udine. Shakespeare mostly copied the story, changed some parts and mentioned the original story only in his first manuscript. 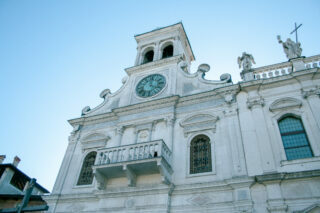 Udine is the historical capital of Friuli and was captured by Venice in 1420. It remained to be under its control until 1797 so to no surprise we saw the Venitian lion with its opened book at multiple important spots in the city. After the AEGEE locals picked us up from the train and took us for a city tour around Piazza della Liberta and the Loggia di San Giovanni our first day ended with pasta and conversations about. The following day we gave two workshops on Youth Participation in a Highschool, once in a junior and once in a senior class. Even though we had given the workshops before, here it was particularly that it all starts with coming together and starting a conversation. 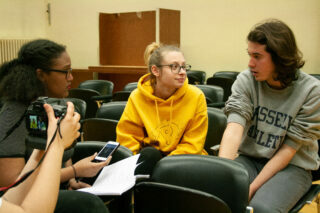 When talking to the students Amadeo (19) shared that he considers addressing topics such as employment, education and migration as vital, but in his currently he doesn’t see the space to do so. The pressure to perform well in school would be too intense and critical thinking not encouraged. Furthermore Garcia (18) elaborated that ideas expressed by students being played down by teachers and concrete plans for information events e.g. opposed. When Amadeo and Garcia got into detail about the challenges in their school specifically it was obviously hard for them to end on a positive note, trying to “transform anger into action” as Greta Thunberg would say. Greta was mentioned more than once in that interview and for the rest of the conversation we brainstormed about unconventional methods to address crucial topics such as striking or street art. Yes, creating spaces for youth participation, civic education and political awareness can be challenging, but where would be if we didn’t try? Where would we be if we didn’t try to create them? How would we have honest conversations and broaden of our horizons? Both Highschool students fear that if the composition of their government doesn’t change, Italy might go for an Ital-exit. Both don’t see the problem in the construction of the EU and identify themselves as Europeans but in the imbalance of voices that are being listened to and that lead the nation. Alice (22), the president of the AEGEE-Udine, perspective matches that. She adds that it isn’t only the age gap between figures that heavily shape conversations such as politicians or teachers but that the gap is intersectional and includes gender and experienced socioeconomic realities. Along she illustrates that the challenged economic situation of the country is what misleads the narrative around the EU “it makes people think that the problem lays within the EU and not Italy”. Alice was with us for both workshops and challenges the youngsters described made her question how conversations about the future of Europe through youth participation can be realized and what alternatives there are outside of school are considering that young people under 18 that are not enrolled in schools are left out of the precious few spaces where dialogue happens. Her idea that turned into a plan during our conversation is an assembly that specifically reaches out to young people addressing topics such as education and employment. She stresses that in theory there are spaces that are open to young people, Udine’s administration organizes assemblies that reach out to Udine’s people, but they are usually mostly visited by older generations as they concern topics such as infrastructure – a topic that is relevant to young people as well but not on the top and in a democracy everybody gets a space to have the conversations that matter to them. A fun space to lift what matters was the European Aperioke the locals organized in cooperation with Erasmus student network combining the Italian Aperitivo tradition with Karaoke. A simple and fun way to celebrate Europe’s diversity of culture; you show and share what you have. Doesn’t matter if it’s more Despacito or Traag, as long as you come with a good mood and you care about the people around you everybody is having a good time. 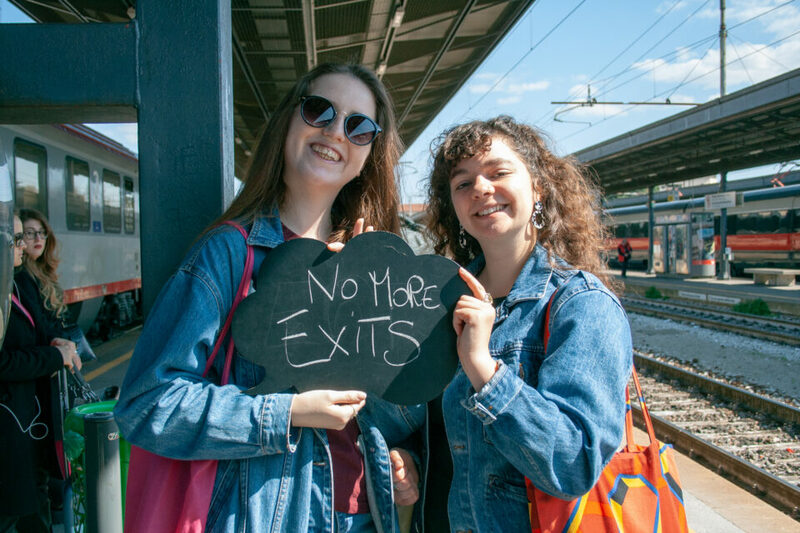 When leaving we asked the locals Alice and Sabrina what their wish for Europe is and boh immediately said “no more exits, together we can do it best”. 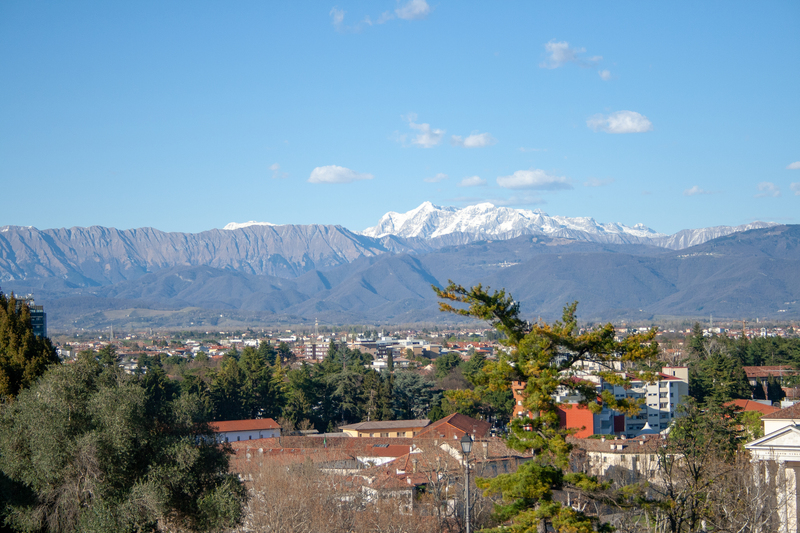 We agree on that one and were very said when we had to say goodbye and exit Udine on the way to our next stop – Treviso.